I have been developing web sites since 1999 and have seen enormous changes take place in the world of web design. In those early days most people had desktop computers (laptops were expensive, slow and had horrible screens, I know, I had one) and the best way to create an elegant looking web site that would work on any browser was to use Macromedia Flash. Today people are accessing the web on all kinds of devices with many different screen sizes and resolutions. The number one goal is to make your web site viewable across all platforms which is best achieved by creating a responsive site that automatically adjusts its layout for the screen it is currently being viewed on. The number two goal is to make your site search engine friendly, specifically to ensure that Google is able to understand the content of every page, index it correctly and then include it in the results for appropriate searches. Adobe Creative Cloud is a key component in all of my work. For web development my favourite applications are Dreamweaver, Illustrator and Photoshop. I lease a dedicated web server running Microsoft Windows Server 2012 and use it to host the sites that I develop. I can help you register a domain name and use it to create mailboxes on my server or point it to a third-party email provider like GMail. 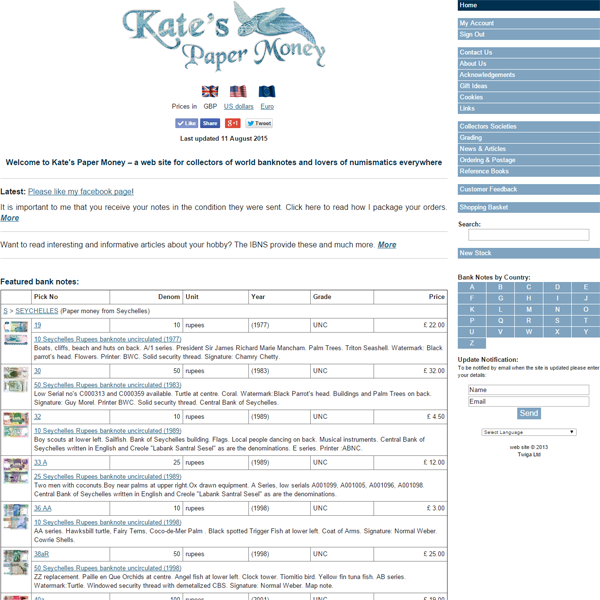 Kate's Paper Money is a web site selling paper money for collectors of world banknotes. I originally developed Kate's web site in 2004 and it has undergone several facelifts since then, including extensive modifications to turn it into a responsive site that works equally well on phones, tablets and desktops. Banknotes have a unique classification system and do not fit well into an off-the-shelf ecommerce system, which is why Kate hired me to develop a bespoke system for her. As well as creating the ecommerce site I also developed an offline system which Kate runs on her desktop PC. The web site and the offline system exchange data allowing Kate to quickly and easily maintain her product database, fulfil orders and issue invoices. 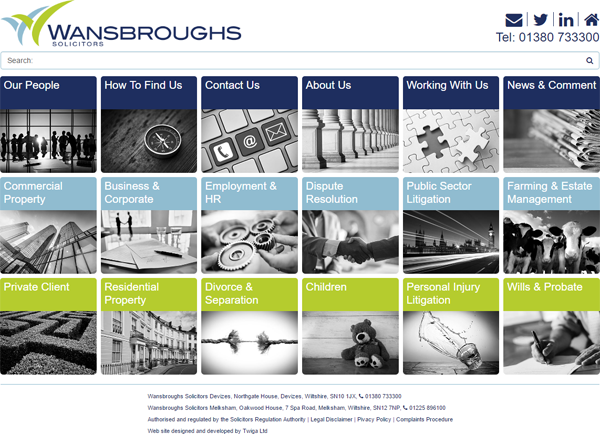 Wansbroughs Solicitors is one of Wiltshire's leading law firms with offices in Devizes and Melksham. The site provides extensive content management, allowing the administrator to update personnel information, office details, company history, job opportunities, news, areas of work and services provided. 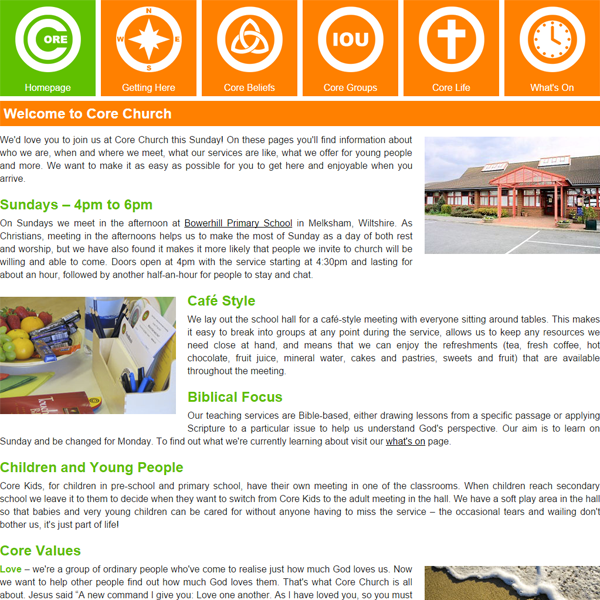 Core Church is a modern fellowship that combines traditional Christian values with a contemporary style. Their web site is static apart from the events page which they are able to edit. When creating or editing an event, the user is prompted to select a category and thumbnail image and enter a date and time, title and description. The site then automatically displays upcoming events. 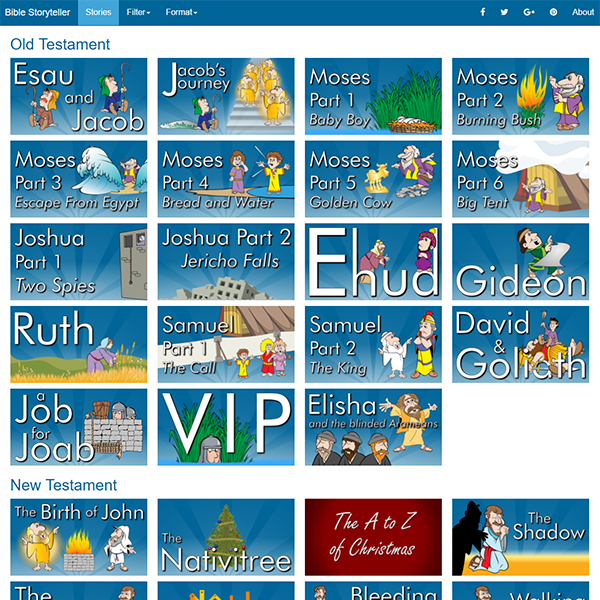 Bible Storyteller is a collection of audio and video Bible stories. The stories were orignally presented in an app that was developed for iOS, Android and Windows Phone. In order to make the content available to users without a smart phone or tablet the web site was developed to mimic the look-and-feel of the app. The audio and video stories stream directly from the server into the browser window.